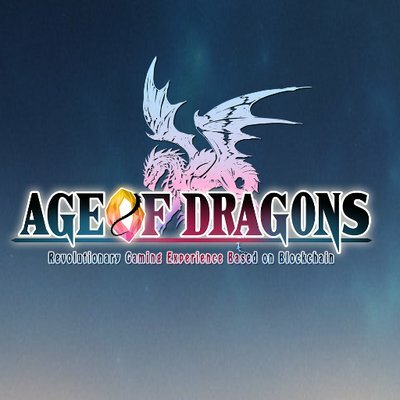 Age of Dragons, the first large-scale open game world based on blockchain technology, is about to release very soon. The game has very interesting dragon breeding system, abundant collection content, exciting battle, huge national war and endless adventure. Join our activities and get rewards for your contributions! 1. All members need to post at least 20 posts each week having our signature to be eligible for a reward. 2. Posts in alternate cryptocurrencies and Trading Discussion section are required. Posts in this thread will not count. Posts must be in English. Posts in this thread won’t be counted. Posts in bounties won’t be counted. Post in local subforums won’t be counted. 3. Users who are found out to be spamming will be banned from the campaign and payment will be denied. 5. You are not allowed to use another site's avatar. 8. Low Quality posts are not accepted. 9. Post should be at least 85 characters long without spaces. Only Japanese, Korean and Russian languages needed. Make sure to send the links to your previous work! We'll review your request, and if your previous experience looks interesting - we'll contact you and discuss the details/or approve. • Using Google Translate and other online translators is not allowed. Participants using Google Translate will be instantly disqualified. • There can be reserved only one translation per one participant. Applications for the translations to multiple languages will not be accepted.